Writing about colleges at universities Newman noted that there were as many as fifty at Paris, twenty-four at Oxford, and a similar number at Salamanca. Cambridge, Toulouse and Louvain had colleges although less. He writes that beginning in the 15th c. political changes among nations altered the composition and life of universities. The collegiate system produced institutions within the university that had a local, political and “aristocratic” character that in the case of England made the University of Oxford, the center of national life. Whereas before few members of the aristocracy went to universities nobles began to send their children to universities, and colleges were then set up for them as in the past they had been set up for the poor. The influence of the aristocracy as well as other political parties was introduced into the academic cloisters or faculty. The colleges, each with own origins, further developed its characteristics, informally representing various bodies within society. Newman remarks how the development of colleges as strong institutions with their own political power had both good and bad effects on the university. The good effect was to give the university stability and vigor. Whereas in the 13th and 14th century students had flocked from France, Germany and Italy to Oxford now students from various ranks and places in England did so, making Oxford the center of English political power. Early on nobles went to Oxford with a retinue of servants. The nobles followed with interest the academic life and proceeding just as much as the clergy and townspeople did. Although travel was still difficult before the age of railroads there were many messengers carrying news back and forth far and wide between Oxford and the rest of the country. Oxford became a place of national and political importance. 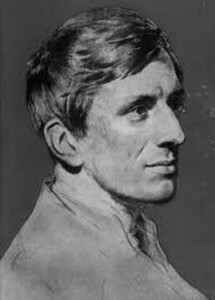 Despite the difference between colleges and university, the colleges favored what Newman called “the university principle.” However the college idea in English university gained an ascendancy over the university. According to Newman in later centuries the university principle would be lost when the university was sacrificed to the college. It is likely that here Newman was referring to the political nature of colleges which did harm to the intellectual pursuit and moral formation of students. On the other hand the college system allowed for a personalized education of students by means of tutors. Surely Newman was not lamenting this. In the following chapter Newman will continue to discuss the differences between a university as a whole and its colleges. This distinction is no longer applicable to modern universities where “colleges” have been replaced by “schools” even though some retain the name “college” as in a given college of medicine or a college of law, etc. He will focus on the political abuse of the collegiate system to the detriment of the university.